Mr. Pancake is helping me out with today’s post. That’s the dog in the photo… he is the perfect inspiration for today’s theme. After all, I took this photo and three seconds later he was on full alert because a dog outside barked. This allows me to ask the question, do you bark at something or just bark because someone else did? Meaning… do you provide content that people want to read, or do you just pass along “stuff”. Not every piece of content you write or record will bring you tons of likes or comments, but you need to make sure that you’ve got something to say! Create a content calendar for yourself! This doesn’t have to be super intense, but it will help to put important dates for your business in one central location. I recommend doing this once a month… let’s say the 25th… that way you don’t miss the 1st! Include all of your important deadlines, National “day of” events, town festivals, and tribe building things like birthdays! I created a “Best and Simple” version that I sell on Etsy — you can check it out. Honestly, you can do this on your own with a few moments of quiet and a blank calendar, but check it out and see if it would be helpful to you! Remember, it’s OK to bark with the crowd… but sometimes you need to bark first! Want to make some money? Pick up a pen. Alrightie, it’s not that simple… but there are results. When you choose to accept the relationship between content and money you will reap results! Here’s why. Back up one step and you find out that relationships build trust. Back up one step further and you’ll find out that content builds relationships. content to relationships to trust = money! This means… it’s time to send out the boating videos! 🙂 I have a ready made 8 week beginner boating tips series. We created them with our crew. Each is less than one minute, but it’s a great way to get ready for the season. It’s also a great content piece. It’s an 8 part series, so each week our customers will receive a new video, it was also really easy to create… use this tip at your business. When do you have an “anticipation” time? What can you do to fill that time by providing content? Two important questions to ponder! 1- Create a Series! Look at an aspect of your business where there is delay between purchase and delivery. Fill it with information that builds the anticipation! Make it simple. The goal of your content creation is to communicate. You need to be as clear as possible and that means simple. Remember, confusion… and worse misunderstanding happens if you are complicated. Make it Memorable. Do you remember three things you read yesterday. Nope. It’s rare to remember anything, that’s why it needs to stick out. Another good idea is to make it timely. That means if you have a 4th of July fireworks photo to display, don’t feature it on your Facebook post on August 13th. That’s just lame. Make it inviting to look at. In recognition of this guideline, I switched up my artwork to be a little different, I like the way it looks! Make it fun to read. Use real world examples to help identify with your audience. It’s always more fun to read stories than to read facts. Well unless the facts come from the Guinness Book of World Records. What’s your favorite record? Now, for your next post whether it’s a blog or Facebook post, keep these four guidelines in mind and enjoy the creative process! 1- Create a post! Use your four guidelines to bring it to the next level! Go… do it now! What a fantastic idea I found on the first page! 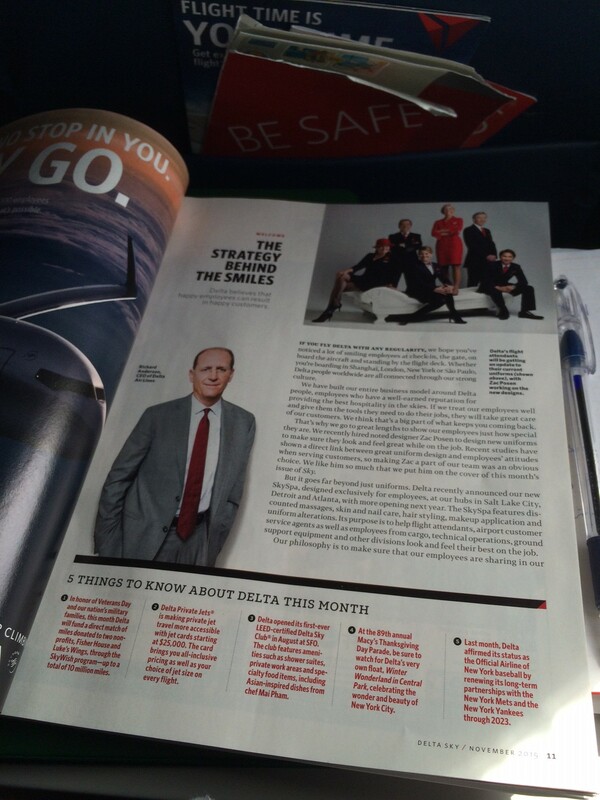 It’s the “Five things to know about Delta this month” feature. When you are stuck for content, what a fantastic topic! Make this a regular feature and it does two things, you need to PLAN what your exciting events are for the month, and you give your customers an “inside scoop” for reading. This also leaves you to have five things to talk about later in the month with an in-depth focus. It’s great. I recommend adding this to your social calendar. Think about it, if you start your month with the “Five things you need to know about <insert business name here> this month” — and then over the course of the month you write about each “need to know” topic, wow! That’s 6 blog topics. After reading the short story, I’m changing my calendar… let’s see you try it, too!